The United Way of Metropolitan Dallas has announced a group of accomplished community and business leaders to its 2018-2019 Board of Directors and the United Way Foundation of Metropolitan Dallas Board. Members will serve three-year terms, as they help steer United Way in creating solutions to complex social issues in the areas of Education, Financial Stability and Health- the essential components of a thriving community, according to a news release. 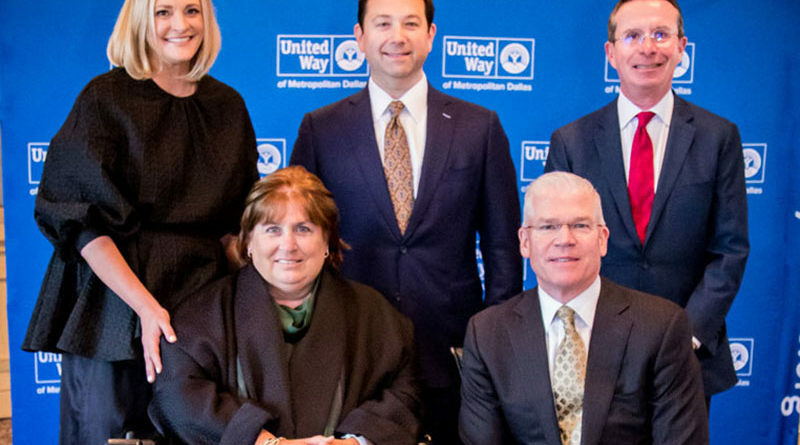 Jason Downing, Vice Chairman, U.S. Leader of Deloitte Private and North Texas managing partner for Deloitte, will serve as United Way of Metropolitan Dallas Board Chair. 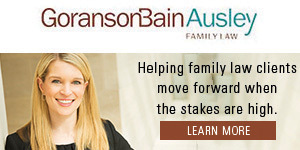 Committed to leadership roles within United Way for the last decade, Downing most recently served as the chairman of the United Way Foundation of Metropolitan Dallas Board. Jim Hinton, the chief executive officer of Baylor Scott & White Health, the largest not-for-profit health system in Texas. As CEO, Hinton oversees a health system that includes more than 1,000 patient access points across Texas, in addition to the Scott & White Health Plan, Baylor Scott & White Research Institute and Baylor Scott & White Quality Alliance. David Martin, Partner and Managing Director in the Boston Consulting Group’s Dallas office. Martin is a core member of BCG’s Technology, Media and Telecommunications practice, where he advises clients on topics from strategic growth and business model innovation, to operational improvement and organizational restructuring. David Park, Senior Vice President, Utility Operations for Atmos Energy Corporation. Park is responsible for the regulated utility, which serves over three million customers in over 1,400 communities in eight states from the Blue Ridge Mountains in the East to the Rocky Mountains in the West. Clint McDonnough will lead the United Way Foundation of Metropolitan Dallas Board as Chairman, after longtime leadership within the organization. McDonnough is the retired managing partner of the Dallas Office of Ernst & Young LLP and serves as Vice Chair of the Unite Forever Campaign. He has previously served as Chair of the United Way Board of Directors and Chair of the Campaign Cabinet. Mary Anne Cree, philanthropist and loyal Ruth Sharp Altshuler Tocqueville Society Member. In addition to her commitment to United Way, Cree has held leadership level positions with the Dallas Museum of Art, Sammons Center for the Arts, and Baylor Health Care System. Kevin March, Retired CFO, Texas Instruments, where he was recognized among the top-ranked CFOs in Institutional Investor’s “Best Semiconductor CFOs in America” for several of his 13 years of service. March served on United Way’s Audit and Ethics Committee, 2012-2014, and on the organization’s Blue Ribbon Commission. Ronald C. “Ron” Parker, Retired Senior Vice President for Human Resources, Labor Relations and Global Diversity and Inclusion, PepsiCo. Parker recently retired from his role as president and CEO of The Executive Leadership Council (ELC), an organization representing senior black executives at Fortune 500 and equivalent companies, where he served on both the Council and Foundation Boards. Terri West, Retired Senior Vice President, Texas Instruments, who served on United Way’s Campaign Cabinet, Board of Directors, 2012-2018, and as Chair of the Resource Development Committee. West had global responsibility for Texas Instruments’ communications, investor relations, and public affairs functions. Steven Williams, Senior Vice President Sales & Chief Commercial Officer, PepsiCo/FritoLay, who serves as United Way Workplace Campaign Tocqueville Chair. Williams oversees the strategy, planning, and execution for Frito-Lay’s U.S. field sales, retailer, and sales strategy teams.